October 30, 2015 - by FallenAngel - 35 Comments. Three-peat! 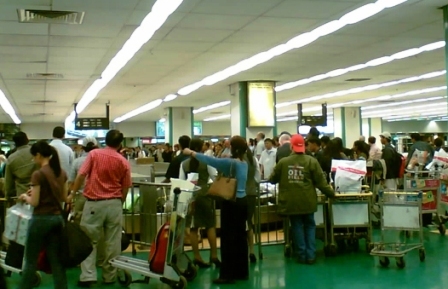 NAIA is the World’s Worst Airport for 2013! October 28, 2013 - by FallenAngel - 28 Comments. Travelers out of NAIA in 25 minutes? DOT misses the point in less! January 4, 2013 August 23, 2013 - by FallenAngel - 102 Comments. October 22, 2012 October 28, 2013 - by FallenAngel - 64 Comments. October 20, 2011 October 20, 2011 - by BenK - 134 Comments.